Successful blog sites have three specific things in common. They are created by a winning team, they are focused on a specific product or service that is already in hot demand in their community or niche, and they found an effective tool to get the word out about their brand or company. Most individuals have no problem with the first two, but often struggle with the last one in finding effective ways to maximize the exposure of their brand. The only way to maintain a successful blog focused on your business is to ensure that you have the right tools to generate quality leads. There are effective steps you can take to create a better audience and capture their attention over the long haul. It is important to realize that the blogging site is never about you. Any updated content you make to the site needs to be valuable to the reader. The content should be provided in a variety of forms including written information, along with visual media such as video, infographics and images. It can also be posted as audio or podcasts. With the understanding of the importance of making sure that the content is based on user-focused information, you will need to assemble an effective content team. These will be the individuals that will create, edit, promote and distribute your online content. They will also have the effect of tools for tracking and managing the results. An effective tool often used to get the audience excited about your brand is to offer them specific free resources through your blogging site. Typically, these free resources will offer a valuable solution to many of the common issues and problems your readers face every day. This could be offered in a variety of effective formats including e-books, video tutorials, or a downloadable PDF file. The easiest way to promote your blogging site is to use other sites. The individual in charge of writing valuable content for your site can also use other sites by offering guest posts to like-minded individuals with their own blogs. Typically, a guest blog is a written article from someone in your company but will be posted on another individual’s blog. This type of third-party blogging strategy allows you to post updated information for free, with a direct link back to your site. This is the simplest way to develop a new stronger audience of like-minded individuals in your specific niche. Another effective tool is to keep the audience fully engaged at all times. This might include encouraging each visitor to sign up to your company mailing list. It might also include sparking debate, asking questions or providing them the opportunity to leave comments on your blogging site. It may involve running competitions or contests, or offering unique special promotions only on your site. Once you see the benefits of the above tools and strategies simply rinse and repeat. 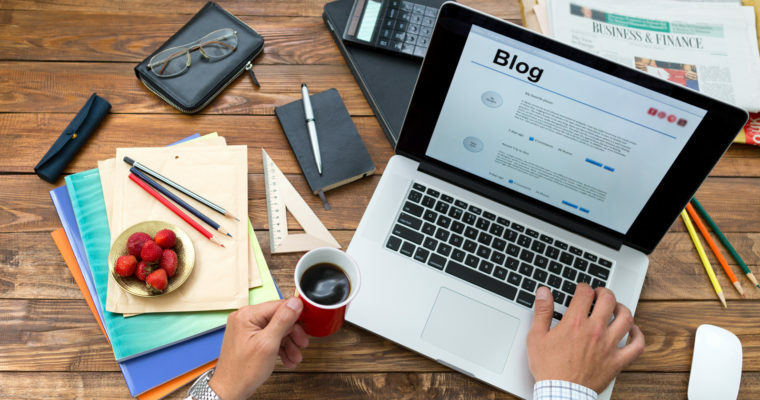 By routinely adding regular content, keeping your customers or visitors engaged, and promoting your site on other blogging sites, you will generate renewed interest on your blogging site now and in the future.